Finally, how to get the most out of the Fuji X-Trans/ACR combination. We wanted it to be as comprehensive as possible, so it turned into our longest video ever – 4h+ in two parts with a huge range of examples. For the first time, there are also approximately two dozen selected raw files (from those covered in the video) for you to experiment with and work though. Special offer: Add the original video A: Intro to PS Workflow for $30 instead of $63 to any order containing A2 – there are some things covered in more detail in the original video A: Intro to Photoshop Workflow (such as the functions all buttons and sliders in ACR and PS, which are consistent across versions) but not A2 in order to keep the video (relatively) short. Just add it to your cart and the discount is automatically applied. Photoshop Workflow II is now available to buy here from the teaching store at $80, with several discounted introductory bundle combinations. Selected testimonials from previous videos are below; many, many more on the teaching store page. Caleb (Intro to PS, Intermediate PS, PS Workflow II, Monochrome Masterclass, Outstanding Images Ep. 1-5): After many classes/workshops with excellent teachers, including Sue Ann Hodges at NESOP, George Dewolf at Maine Media Workshops, Steven Johnson at Mono Lake, Paul Caponigro in Camden Maine, several at Santa Fe, I find your depth of knowledge, clarity and guidance to be the guiding light (greatly complemented by the wisdom from those above). I’ve invested ( intentional use of word) in all your PS and Outsatnding Images series 1-5 videos. While combined not inexpensive (and for many users not all required to learn deeply) I find the cost vs benefit ratio to be unmatched (again not taking away from the great learning above). Mikko Ritala (Photoshop Workflow II): Just wanted to chime in shortly on this. I downloaded WF2 recently and it has made a big difference. The most important lesson for me was calibrating my cameras properly. I shoot mainly landscapes and nature, and nailing accurate color was always difficult for me, requiring extensive HSL adjustments. Now I simply set the WB correctly and get accurate, pleasing color straight off the bat – it just works. Overall contrast is also improved, I don’t have to recover shadows or highlights nearly as much as before. I’ve re-edited some pictures from the past year with this workflow, pictures that I wasn’t confident in publishing before. I’m extremely pleased with the results and I’m proud to say three of them have made it into this group. It gives me confidence that I’m moving in the right direction. I want to thank Ming for all the hard work he has put into his site, education videos and this Flickr community. It has made all the difference for me. Jessica Winograd (PS Workflow II): I recently purchased Photoshop Workflow II and have enjoyed working my way through the course. Not only have I learned valuable techniques but I have also been learning what it is about your photos that I find so magical and appealing. I hope this will help me as I develop my own style. Mikko Ritala (PS Workflow II): I highly recommend this video, I’ve only spent about 10 hours practicing with this workflow and my images are already starting to turn out much better than before. I took a small catalog of old pictures that I edited with this workflow and then compared to previous exported versions. The difference has been an eye-opener. I still need to get my cameras profiled correctly to get the most out of it. Mark (PS Workflow II): After trading in a BHC (Big Heavy Camera) for a NLC (nice light camera), I had some money left over, so I figured that as education is better than gear I should give this (and the Monochrome masterclass) a shot. The Monochrome video is useful and interesting, but the PS Workflow is even better. I’m highly impressed. The nice thing about these videos is that they are immediately applicable, but also have enough depth of ideas and details to bear repeated viewings. I just signed up for the trial run of CC2014 (PS and Bridge) and having seen what they can do, I will be subscribing to the monthly model, if for no other reason than to be able to put into practice everything mentioned on the Workflow 2 video. I haven’t run any files through this workflow yet, but I’m very much looking forward to the results. Seeing the examples on the video going from rather “meh” looking files to highly striking finished products was quite enlightening. The improvements to ACR are nice too. As the “nice light camera” I picked up was a used X100, the section on X-Trans was appreciated too. Thanks for two excellent products! John Moran (Intro to PS, Intermediate PS, PS Workflow II): I bought and am studying Intro and Intermediate PS. All 3 PS videos are concise and very well done. I simply cannot sit through most video tutorials because their baud rate is so excruciatingly slow. So thank you for making those. Arpit Srivastava (PS Workflow II): The workflow video is very good – I’m already seeing improved results in my images and a lot more consistency. I think I will be buying your B&W video eventually as well. Graeme Allan (PS Workflow II) – After purchasing ‘Photoshop Workflow II’ I suffered an identical epiphany following application of the principles in ‘Monochrome Masterclass’: I undertook a major ‘delete’ of most of what I thought I knew and returned to ‘Square One’. Significantly, for me and my output, this is entirely ‘pleasurable pain’. Thanks Ming for quality instruction, quality methodology and helping to increase my potential to find possibilities, and alternatives in my editing. Klifton (PS Workflow II) – Just a quick note of gratitude for all your hard work. You’ve enlightened me in more ways than any other photographer. Your style, your tools, and your methods. They’re all right! I’m making my first trip to Asia in a week. I can’t guarantee I’ll come back with anything earth shattering, but my chances are greatly improved thanks to you. I purchased a GR (using your Amazon link), and I couldn’t be happier. Complimenting it will be an FX Nikon body with 60 2.8G and 85 1.8G. I also purchased and studied your Photoshop A2 video (along with the Intermediate and Monochrome). Your usage of the dodge/burn tools have been hugely useful, as well as the lab mode in Photoshop. I’ve used PS for well over a decade, and always avoided the dodge/burn tools for some reason or another, but thanks to you… I’m now using them to great success. Thank you for all you do! You have single-handedly made me a better photographer, more so than any one else. Keep up the great work! Andrew Hiscock (PS Workflow II, Intro to PS Workflow) – I am working my way through your photoshop workflow videos at the moment. I purchased the first set (I & II), and they are wonderful. I have gone back through my catalog and edited some photos in which previously I was not able to bring out what I saw when I took the picture, and now I have finally a result I am happy with. Also, while I already knew before that education is more important than simply buying more gear, after watching these videos I now 100% believe it. For example, where I used to run into situations where I would think “maybe I’m just running into sensor limitations” I now think “I can fix this with curves”. Andre Yew (PS Workflow II) – The rest of the workflow is pretty marvelous. Editing in Lab mode is really satisfying. Thanks for showing us all of this, Ming! I also found I could almost everything in LR that Ming does in ACR, so LR users, don’t let that stop you from adopting this great way of editing. The only exception is the really useful-looking area-selection for the WB eyedropper tool, but you can always do this manually by averaging measurements at many points. In fact, many of the things Ming discusses in ACR (negative value sliders, many different settings applicable to the gradient tool) have been available to LR users for quite a while now. Jonathan Usher (PS Workflow II) – What a wonderful Photoshop workflow resource – thanks Ming; I’m getting a lot out of the materials and the many samples that you work through. Thanks again for a wonderful video course. 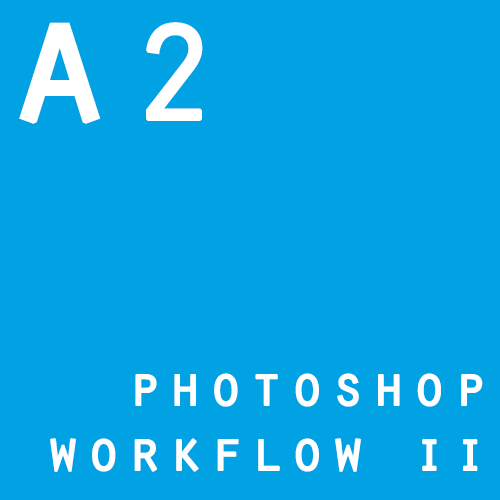 Eric Hanson (PS Workflow II) – Just finished watching Photoshop Workflow II video parts 1 and 2. Highly recommended. The new process is simpler, takes less time and results in cleaner output of files and more accurate color. I use to love the old curve adjustment in the previous videos however the new curve adjustment is two part and preserves both color and saturation. Part one occurs in ACR and handles the proper roll off of highlights and part two occurs in PS and handles the shadows. Also the color profiling of the camera is a step I have never done before and this technique is included in the video. This will make my configuration much closer to Ming’s. Essentially closing the gap further. Ming explains what shortcuts to configure in PS to speed up the flow. He also explains a few of the tools he uses in PS. It is very nice to see the video in the latest version of PS as now everything matches very closely. The new process is very easy to adapt to the previous processing videos. The inclusion of several RAW files and finished JPEGs is a game changer. I am going to copy the RAWS to a separate directory, process them and then compare to Ming’s processed files to see the differences. It is fun having Ming’s RAW files loaded up in Adobe Bridge. Gradients take a more important and more precise role than before. The ACR filter is a great addition to PS and Ming explains its use in the workflow well using a mossy fallen tree image and a very large image from his trees series. From time to time Ming will pause and explain a point or two at a beginners level without taking away much time or distraction from the flow. It’s almost as if someone is reminding him from time to time to explain a point at a more basic level. 🙂 I am quite sure it is Ming catching himself. If you own a Fuji X-trans camera and /or are considering the purchase of one this video is perfect. This is covered as the final topic and Ming explains that almost everything still applies except for some steps which are either different or reversed. The samples are well chosen to demonstrate the uniqueness of the sensor and really show how processing them in adobe in the same manner as RAW files from a Bayer filter camera results in poor image quality and how to turn that around to get proper output. The changes needed are clearly explained. I Really like the section on curation. The intro and section on curation are the first 46 minutes of the first video. It is very helpful hearing Ming discuss strengths and weaknesses of various images. I wanted him to keep a few of the images he discarded. He also explains why he picks one over another and I learned a lot from that as well. This is something he does as part of his Master Classes and it was fun to see it in action. The examples section is key to understanding the new process. The two images from San Francisco are nicely captured and processed and will allow me to see those type of images in the future. There are several edge cases in the selected images and Ming does a great job to explain these points. A very well done video. Gerner Christensen (PS Workflow II) – Beside the very useful repetition of the curation part of the workflow, the color management and camera profiling comes as a gift from heaven. Furthermore I have seen new tips and very useful stuff in the ACR filtering part. Great Ming! Next, the Lab Mode post processing flow is a huge improvement on how to preserve your colors. The files comes out cleaner and to me with far more appealing colors. This is a huge advancement to the former set of working steps. It is faster that way and the file quality has been vastly improved. What is there not to love about these new videos! Thanks again Ming. Eric Hanson (PS Workflow II) – Really like the section on curation. The intro and section on curation are the first 46 minutes of the first video. It is very helpful hearing you discuss strengths and weaknesses of various images. I Also like the included RAW files for some of the images. I have them loaded up in adobe bridge and look forward to experimenting with them. The section on color profiling is very nice. Also the ACR updates. I like that you are using the latest versions of ACR and CS as the sliders are different. I also like the updated and simplified workflow. It is easier to do and follow. Looking forward to the examples section and working along on the included RAW files. Graeme Allan (Monochrome Masterclass) – Again, thanks for the directions in your monochrome videos. As I said, my workflow has changed, significantly. I suppose the key elements I have learned revolve around exposure to the right and, when in PS, refining the use of curves and dodging/burning. Initially, I could not believe that 5% was going to do anything when dodging and burning. I was wrong. Commercial – Lots of fresh examples (all new) including an outdoor scene with a tree and other green things (handling greens) . Builds upon the intro to PS Video with what seems (to me) to be several bonus steps/tweaks to fine tune the image. Sharpening is a bit easier to follow. Plus an example of sharpening files from cameras without AA filters also a file shot past the limit of diffraction. Also a better idea of when to balance an image warm or cool based on dominant colors in the image (white balance). High Contrast Photo Journalist – I really like the processing here. More examples with a more comprehensive view than in the intro video. I really gained a much better understanding of the process. I also really like this style as shown that it can be used for still life and more artistic style of photos. You really get the flow for the amount of dodge and burn to apply. Also a really nice explanation of high key -vs- low key when using the curve adjustment. Two examples that show clearly the correlation to histogram to which portion of the picture will be impacted. A better explanation of the curve is learned watching the examples. I really like the palm tree and the door in this set as I learned a lot form each. They also fit some shots i have been attempting recently. Fine Art B&W – I really like the sailboat example. Also the forest example from the ultraprint run and the photo of the highlight in the forest pictures where you burned the highlights. The focus stacking example was also very nice to see. A nice explanation of dodging and burning. I also enjoyed learning about the Fine Art B&W style and how to process for it. We have a lot of sailboats and trees. I am looking forward to shooting more of these. Cinematic – This really showed how to adjust colors to get them correct after dramatic white balance shifts. Nice to see the many examples of gradients. Also the dark gradient from the bottom, light from top. I learned a lot of refinements in the process. Also a deeper focus on saturation and desaturation. Jeff C (Intermediate Photoshop): I just was able to set some time aside and sit down and watch the second installment of the photoshop tutorials (damn kids make life so complicated and busy) and just wanted to say the intermediate vid was great. It’ll take some time for all the information to sink into this thick skull of mine, but over the long haul I will benefit greatly! Thanks Ming. Mark McDonald (Intro to PS Workflow): I just got your introductory Photoshop workflow video – it’s excellent. Makes a very complex program seem logical and simple, and I now have a much clearer view of it. I will likely get the advanced one at a later date. thank you for all the post processing videos. I am now through PS WFI/II, MOI EP4/5 and Monochrome Masterclass. Now that I have done a lot of re-editing on my images the thing about starting on a flat image leaves my puzzled. I can clearly see the advantage of it but I am not able to produce it in the camera. The Zeiss lenses I’m using on my Canon DSLR as well as the Sigma cameras are producing just too contrasty images to turn it back into flat ones afterwards. No, you can’t make it flat in the camera, but you should be exposing to the right (no clipping)/ and making the raw file flat afterwards in ACR – that’s doable if you don’t lose any of your highlight or shadow information. I had purchased your photoshop workflow video a while back and havent had the chance to implement some of the learnings. Today I pulled out the color passport and did the color caliberation and WOW – what a massive difference it made. Even with the caliberated monitor – I had no idea the nikon D610 native color response was so different from actual colors. I opened up some old photos and applied the color profile on them and the difference is just so remarkable – they started looking so natural – the one big complaint I had with all my photos – the colors just looked off. I would say just for that bit only the videos are worth the money – and there are so many other things in it to improve my photography. After trading in a BHC (Big Heavy Camera) for a NLC (nice light camera), I had some money left over, so I figured that as education is better than gear I should give this (and the Monochrome masterclass) a shot. The Monochrome video is useful and interesting, but the PS Workflow is even better. I’m highly impressed. The nice thing about these videos is that they are immediately applicable, but also have enough depth of ideas and details to bear repeated viewings. I just signed up for the trial run of CC2014 (PS and Bridge) and having seen what they can do, I will be subscribing to the monthly model, if for no other reason than to be able to put into practice everything mentioned on the Workflow 2 video. I haven’t run any files through this workflow yet, but I’m very much looking forward to the results. Seeing the examples on the video going from rather “meh” looking files to highly striking finished products was quite enlightening. The improvements to ACR are nice too. As the “nice light camera” I picked up was a used X100, the section on X-Trans was appreciated too. On that topic, I just have one question – do you happen to know that if you were to change an X-Trans into a TIFF using Silkypix and then run it through ACR and PS, would you use the regular Bayer settings for sharpening and the regular approach for highlights and shadows? In other words, does the change from X-Trans to TIFF “remove” the X-Trans special sauce, so to speak? Or would you still use the alternative workflow? I have a few Fuji files which I ran through Silkypix to output as TIFFs, and I erased the X-Trans files. From now on though I will give the new workflow a shot with the X-Trans files. Lastly, a while back you kindly confirmed what I already suspected about Foveon files, specifically from the DP3, re: sharpening: basically, “don’t bother unless there’s something soft there”. I assume this still stands in the light of the new workflow? I have never sharpened a Foveon file if it was critically sharp. Thanks for two excellent products! Thanks Mark! I would still use the alternative ACR workflow for consistency and flexibility. As for Foveon – agreed; most of the time no sharpening is required. The first one does. Subsequent ones switched to X-Trans. Ming, isn’t it more convenient to adjust the curves in RGB mode, but use Luminosity blending mode? I think the result is the same as going to LAB mode. No, because then when you dodge and burn it will also be in RGB mode, and that affects tone/saturation. Dodging and burning in LAB does not. are you aware of using scripts in PS to do various things. I have setup a jpeg saving script in my PS which I use to save the files in both High resolution and low resolution – just at the click of a button – I can save it in as many types actually as I want just with tinkering with a few parameters. Saves me a ton of time. If you are interested in having a look at that I can maybe post you the script. the workflow video is very good – I’m already seeing improved results in my images and a lot more consistency. I think I will be buying your B&W video eventually as well. hey Ming! i bought the workflow a while back. To be recommended! So far I’ve been fiddling with all those tools in lightroom and photoshop and after a few hours with your workflow I’ve been able to lower the time of my post-processing five-fold + the finishing effect has more tonal range and I sacrifice less quality of the picture. 1 question: could you share your ACR preset for the ricoh GR? also are you using for it the embedded color profile or adobe new standard? What a wonderful Photoshop workflow resource – thanks Ming; I’m getting a lot out of the materials and the many samples that you work through. I do have one question – when you perform the camera calibration, it would be good to understand please why you manually move the colour sliders as opposed to using the software that comes with the Colorchecker Passport? I’ve used that software myself, taking a correctly exposed RAW image of the Passport in (say) sunlight, and automatically creating a camera profile that is applied in Photoshop (and Lightroom) for that lighting condition. You can also do this with dual light sources (eg sunlight and incandescent) to enable interpolation of camera profile for colour balances “in between”. It seems to work well – but there may be good reasons to take a more manual approach; it’d be great to know more about that please! Thanks again for a wonderful video course. I don’t use the software because it takes an absolute measurement/ adjustment, and we need a perceptual one. Our eyes do not respond linearly to color with luminance because of the physical structure of color and light sensitive cells on the retina; we should therefore use the ultimate viewing device – eyes again – to make the calibration. Thanks Ming – a very good point! I’m quite interested now to make such a perceptual adjustment manually and see how it differs from the software-generated calibration. Should be an interesting exercise (if only I can find time to do it!). Thanks again for the great information in your course (and the others I have purchased – invaluable learning throughout). Thanx for this post!!!! Verry good video!!!! I have just finished a manual monitor calibration according to the instructions given in the WF2 video. This is a very positive experience versus the results out of my X-Rite calibration tool I have used so far. The color naturalness is simply of a different caliber and seems to me to be more the way I perceive colors with my eyes. Perhaps I am wrong, but this is how I see it now. Next, I cannot stress enough how important it is that you get your cameras profiled as shown in the WF2 video part one. I would believe 50 % of the sauce comes from the camera calibration alone! I have been most surprised how much transparency and clarity has been lost the way I have processed my files until this moment. I’ve had mixed results with the ease of calibration. My Apple LED Cinema display could be calibrated pretty easily — I used the squint trick to match the patterns to the Apple logo — but my 13-inch Macbook Air’s display was frustrating to calibrate by eye. I finally gave up on it, and just used the default settings, because I couldn’t get anywhere close to a neutral-looking grey on it. But the rest of the workflow is pretty marvelous. Editing in Lab mode is really satisfying. Thanks for showing us all of this, Ming! I also found I could almost everything in LR that Ming does in ACR, so LR users, don’t let that stop you from adopting this great way of editing. The only exception is the really useful-looking area-selection for the WB eyedropper tool, but you can always do this manually by averaging measurements at many points. In fact, many of the things Ming discusses in ACR (negative value sliders, many different settings applicable to the gradient tool) have been available to LR users for quite a while now. Just to clarify: you still need PS if you have LR. I mostly use CS4 and my sharpening settings are different than those Ming uses in the video, probably because it’s an older-generation sharpening algorithm in CS4. What you’re running into are gamut limitations: the smaller the gamut, the harder it is to do by eye. My 11″ Air took me six attempts; the 27″ Thunderbolt, one. Displays with varying degrees of gamut required varying effort. 1. I only have CS6 and am averse to CC’s subscription model. Will I still be able to use the same workflow? 2. Re color management, does this include getting consistent color between different cameras? Does it include modifying camera profiles? 3. I got the Photoshop Workflow I video a long time ago. Do you offer a discount to your loyal customers? You can use everything except the ACR filter. Yes, if you follow the workflow you will have consistent color between cameras and I show you how you can create your own profiles. It’s completely new content with a different production company so the prices are what they are. Thanks Ming. I appreciate your timely response. I look forward to learning from the video. FWIW, I use CS4 PS and LR5.7 to do almost everything in WF2 (WB area selection is the only thing I can’t do in LR). I have CC PS, but there’s a bug that prevents me from editing a file from LR unless I jump through a bunch of hoops first. 1. I understand doing global contrast curves in the L channel, but why do you not also make the local changes (dodge, burn) in the L channel only instead of the composite? Or is PS doing this in actuality under the covers? 2. There is no mention of using the A or B channels in LAB mode. There are some well-known techniques for steepening the A and B curves to separate similar colors. Do you not find these useful? 3. You likewise sharpen the whole image, color and all. Why not use the also well-known method of sharpening just the L channel? 4. I see lots of banding in some of your skies after processing. Is this a result of the small sensor used in the examples or the limited AdobeRGB space (compared to ProPhoto), or a result of working on the composite image instead of the L channel as mentioned above? I really need to work on your sample raw files myself to understand some of these issues better. Thanks for your work in producing these videos, Ming. So much to learn! 1. Your choice – either is fine unless you’re doing very large amounts of D&B, in which case then use the L channel. You run the risk of unnatural looking images though – simply because it’s not easy to do and have it still look tonally feasible. 2. High risk of unwanted color shifts and polarisation, so it’s not recommended unless you have a lot of time to mess around with each file. 3. I use both interchangeably actually. Either is fine if it’s a very high frequency sharpening (i.e. large amount, sub pixel radius). The L channel only can give slightly more color accurate results if you also have very high frequency subjects, but 99.9% of the time I see no difference. Thanks, that all makes sense. By the way, I vowed I would never upgrade from PS 6, but have now downloaded the trial of PS CC2014 and started using it, mainly because of the new click-and-drag box for white balance that you illustrated. I think that’s worth the price alone, but wouldn’t have tried it without this video. Just finished watching Photoshop Workflow II video parts 1 and 2. Highly recommended. The new process is simpler, takes less time and results in cleaner output of files and more accurate color. I use to love the old curve adjustment in the previous videos however the new curve adjustment is two part and preserves both color and saturation. Part one occurs in ACR and handles the proper roll off of highlights and part two occurs in PS and handles the shadows. Also the color profiling of the camera is a step I have never done before and this technique is included in the video. This will make my configuration much closer to Ming’s. Essentially closing the gap further. Ming explains what shortcuts to configure in PS to speed up the flow. He also explains a few of the tools he uses in PS. It is very nice to see the video in the latest version of PS as now everything matches very closely. The new process is very easy to adapt to the previous processing videos. The inclusion of several RAW files and finished JPEGs is a game changer. I am going to copy the RAWS to a separate directory, process them and then compare to Ming’s processed files to see the differences. It is fun having Ming’s RAW files loaded up in Adobe Bridge. Gradients take a more important and more precise role than before. The ACR filter is a great addition to PS and Ming explains its use in the workflow well using a mossy fallen tree image and a very large image from his trees series. If you own a Fuji X-trans camera and /or are considering the purchase of one this video is perfect. This is covered as the final topic and Ming explains that almost everything still applies except for some steps which are either different or reversed. The samples are well chosen to demonstrate the uniqueness of the sensor and really show how processing them in adobe in the same manner as RAW files from a Bayer filter camera results in poor image quality and how to turn that around to get proper output. The changes needed are clearly explained. I Really like the section on curation. The intro and section on curation are the first 46 minutes of the first video. It is very helpful hearing Ming discuss strengths and weaknesses of various images. I wanted him to keep a few of the images he discarded. He also explains why he picks one over another and I learned a lot from that as well. This is something he does as part of his Master Classes and it was fun to see it in action. The examples section is key to understanding the new process. The two images from San Francisco are nicely captured and processed and will allow me to see those type of images in the future. There are several edge cases in the selected images and Ming does a great job to explain these points. A very well done video. Thanks for the really detailed feedback, Eric. I’ve been experimenting with a lot of these little tools one by one and slowly maturing them into my workflow – it’s harder than it sounds, because you have to try them under enough different shooting situations to know what the results are going to be (and in turn, if and how to change the way you expose/shoot). I was trying to balance a demonstration of speed/versatility against making it understandable – so you’ll notice towards the end I’m pretty much running at normal pace, and the files go through at a good clip. Usually it’s even faster, but doing simultaneous 1:1 pixel screen capture really taxes the computer. I feel you really did well in the speed/versatility -vs- making it understandable. I also like how you explained how we could make it faster by pointing out 4 or 5 things we should have shortcuts for. Great that you can share your methods in the video. I have always wanted to see your curation process. Looks interesting – I got a lot from the first PS video and this one looks very comprehensive. However, you make reference to the updated ACR (8.x) and PS(CC6). Does this mean that I would need to be using these? I use CS5 with ACR 6.7 at present. I’d say about 50% is applicable – if you have the ‘process 2012’ option under the camera calibration tab, perhaps closer to 80%. I am a Lightroom user but Processing for Style was a hugely useful video to improve my post processing, including various tips for workflow that I picked up from watching it. I look forward to seeing this one – I’m sure there are many parts that can be “translated” (if not, then I’ll learn what I could gain from switching to Photoshop). Sadly, the biggest gain – using a different color model – can’t be translate; LR won’t operate in anything other than various flavours of RGB. Thanks for the honest comment. I don’t have the original PS video so you’re still going get the purchase – time & trial will show whether Adobe will as well. Ming, can you expand on this comment? I use LR extensively, and will likely continue to do so. I can see processing some files only in PS if there is value in doing so (higher output quality). Can you start in LR and then finish editing in PS? Or do you need to start from the beginning in PS? IE: can LR be the raw converter instead of ACR? I would still use ACR as the raw converter, but it’s fundamentally the same so I don’t see why not (though I obviously don’t cover this). ACR acts as a plugin rather than a separate piece of software though – no need to deal with libraries etc. The differences between PS and LR have been covered at length before – short answer, yes, the output is visibly different because of multistage sharpening, better tonal control (multiple curves, lab mode, more control over dodging and burning, sequential rather than additive operations etc.). Beside the very useful repetition of the curation part of the workflow, the color management and camera profiling comes as a gift from heaven. Furthermore I have seen new tips and very useful stuff in the ACR filtering part. Great Ming! Next, the Lab Mode post processing flow is a huge improvement on how to preserve your colors. The files comes out cleaner and to me with far more appealing colors. This is a huge advancement to the former set of working steps. It is faster that way and the file quality has been vastly improved. What is there not to love about these new videos! Glad you found it useful, Gerner! I am really liking the lab mode work flow. A great way of doing things…. I second you Eric. I am really impressed how easy the WF in PS has become. Furthermore it is quite amazing how true the colors comes out and even more impressed by the transparency the files shows. Excellent! Excited to download this! The section on color profiling is very nice. Also the ACR updates. I like that you are using the latest versions of ACR and CS as the sliders are different. I also like the updated and simplified workflow. It is easier to do and follow. Looking forward to the examples section and working along on the included RAW files.